Dream Pod 9: Feedback Friday April 5th 2019 - HGB Rules 3.0 ALPHA v1.6 Update! This weeks post we previewed new 3d models of the Longbow Jager head and its game stats, just added to the updated model list. 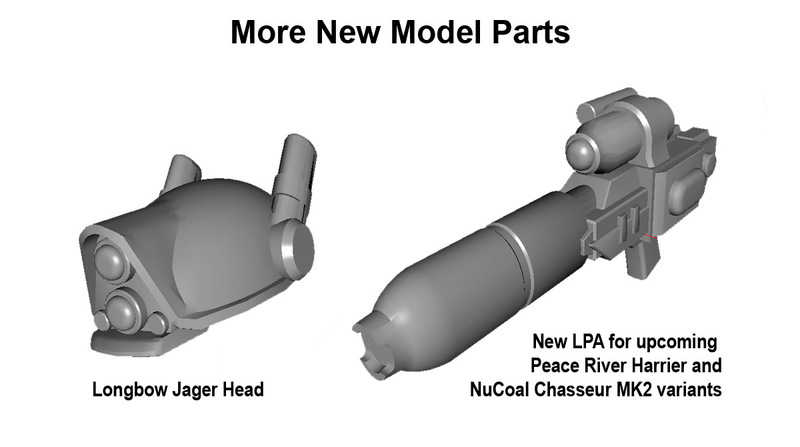 Plus the new LPA 3d model for the Peace River Harrier & NuCoal Chasseur MK2. You can checkout the full "HGB Rules 3.0 ALPHA v1.6 Update" post with links to download the updated Alpha Rules word file and other excel files on the DP9 Forum at the link below, login and join the discussion. 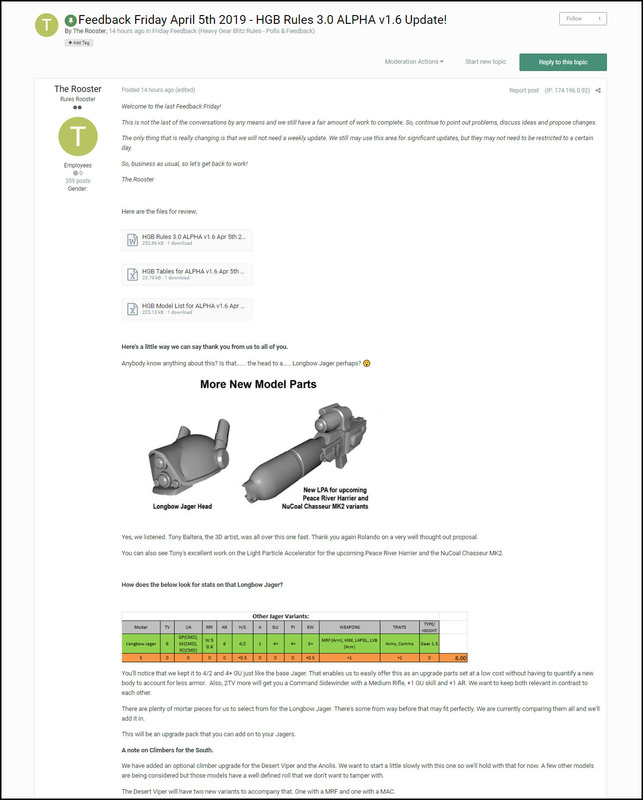 We still have some conversations to finish on weapons, sub-lists, objectives and our HGB Rules Designer, The Rooster, is still working reading everyones feed back on the discussion threads at found at the link below. 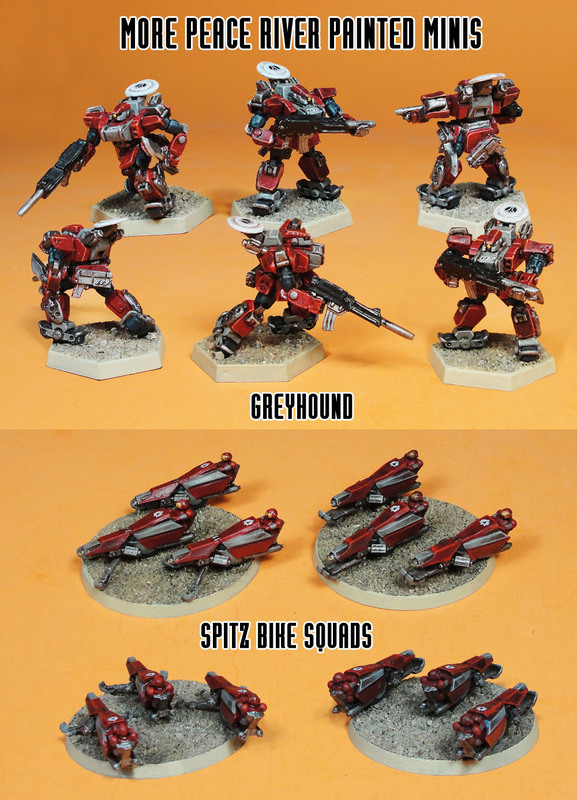 Last but not least, we want to give a shout out to Philippe F. LeClerc, for the recent miniature paint jobs. Here are a few more Peace River minis to check out, the Spitz Bike Squad and the Greyhound Gear with PR logo on it's satup link/sensor is a really nice touch! Home › Blogs › Robert Dubois's blog › Feedback Friday April 5th 2019 - HGB Rules 3.0 ALPHA v1.6 Update!